PolyGuard, Paraffin Repellent | Polysciences, Inc.
Xylene free paraffin repellent. 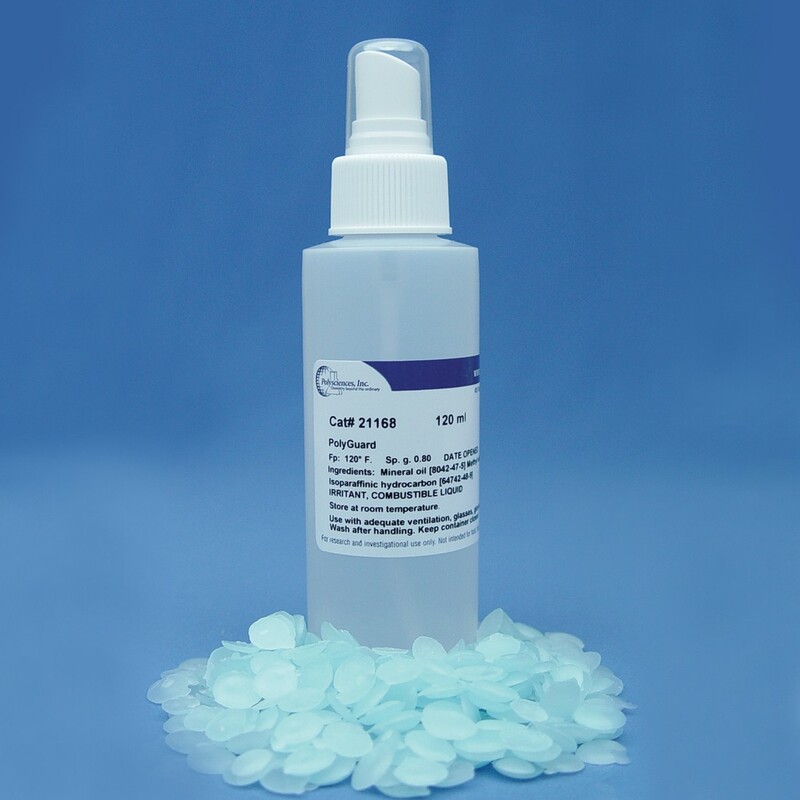 Used to create a protective coating on surfaces exposed to paraffin as well as to clean adhering paraffin off laboratory counterparts and equipment. PolyGuard will help keep your equipment and countertops clean and tidy.